The dealer’s 3,500-square-foot showroom features period lighting, 18th- and 19th-century American and European antiques, 19th-century Caribbean furniture, and great finds for the fireplace. Like or looking for a specific piece? Please call or email. More pictures are available upon request! 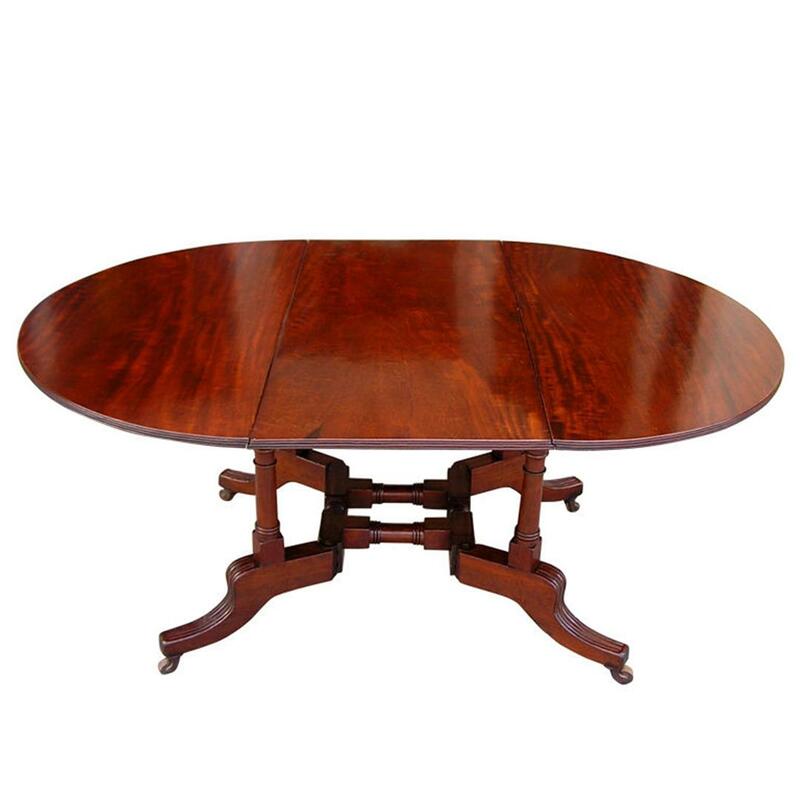 American Regency Cuban mahogany sutherland drop leaf table with turned reeded legs and original wood casters.